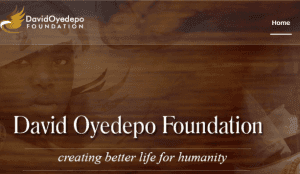 The David Oyedepo Foundation calls for applications from Africans who are looking to pursue an Undergraduate degree program in Landmark University and Covenant University Nigeria. The scholarship program awards scholarships to qualified individuals who are indigenes and residents of African countries, and have been offered admission to specific universities in Nigeria. This scholarship program covers Full Academic fees for a maximum of 4-5 years, Travel allowances, Feeding allowances and Medical/Health Insurance or allowance. Applicants must have applied for a course of study at Covenant University or Landmark University, Nigeria. Applicants must be between the ages of 18 and 25 at the time of application submission. Applicants must be eligible to receive a Nigerian student visa.